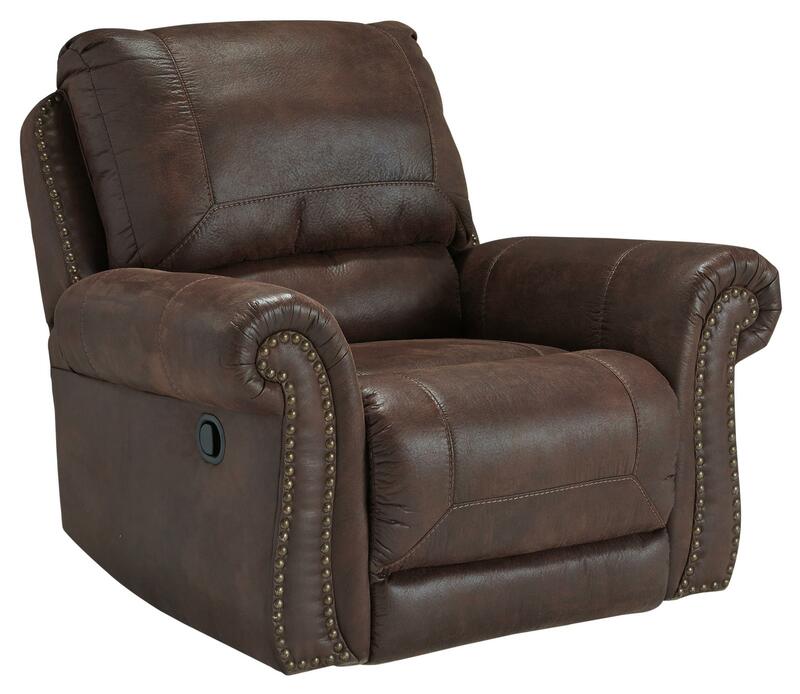 Casual elegance and comfort make this rocker recliner the ideal addition to your living room or den. Rolled arms receive a transitional accent with nailhead trim. A plush back cushion provides support for relaxing. The suede-like faux leather offers great style to your home. 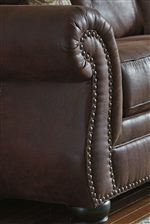 The Breville Faux Leather Rocker Recliner with Rolled Arms and Nailhead Trim by Benchcraft at Miskelly Furniture in the Jackson, Pearl, Madison, Ridgeland, Flowood Mississippi area. Product availability may vary. Contact us for the most current availability on this product.